People are more likely to become disabled than they are to die, especially for those in their working years. With that fact in mind, the idea that we frequently make sure to have life insurance but more frequently ignore disability insurance seems counter intuitive. The fact is that people often do not see the need or are not sure how disability insurance works, and where to get quotes on a disability policy that meets their needs. 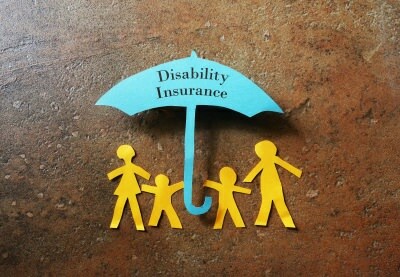 Disability insurance safeguards your income when you’re not able to work due to a disability. Say, for example, that you’re a carpenter, and lose your hand. You won’t be able to continue with your profession, so disability insurance would kick in. The amount paid out and how long you’ll receive money for will depend on the policy itself. On the upside, the payouts won’t be taxed as long as it is a private policy. In this article, we’ll explain the different types of disability insurance, and what might affect the premiums and payouts. It is vital to understand exactly what you are signing up for. You don’t want any nasty surprises when it comes to claiming, after all. The premium: How much you pay per month will depend on the risk that you pose to the company, and the benefits of the plan. Someone who works as a lion trainer, for example, can expect to pay higher premiums than an accountant. The waiting period: Also known as the elimination period, this means how long you have to wait before you can claim. The longer this period is, the lower your premium is likely to be. Most policies will feature a six- to a twelve-month waiting period for full benefits. The benefits that you’ll receive: This will depend on your current salary and how much you’re willing to pay. It’s best to ensure that the benefit will cover at least 60 percent of your gross income. How long you’ll get benefits for: This again will be determined by the policy you have. If you have a short-term policy, you will usually only receive benefits for a year. A long-term policy, though more expensive, will cover you until you retire. What classifies as a disability: Will it kick in if you can’t work at all? Or can you claim if you’re not able to follow your chosen profession, but can work elsewhere? Do you have to lose a whole arm or leg? Or can a partial injury also result in a payout? You can buy long-term policies privately or if your employer has this option, from a group scheme. Group schemes may offer more limited benefits, so it is a good idea to consider getting a quote in your private capacity. This type of insurance is meant to last you for a while. The typical terms extend from two years through to retirement. You can expect to pay about 3 percent of your annual salary from most long-term disability policies. Long-term insurance is the more expensive of the two basic options. If you think about it, though, it’s the best option. If you become disabled enough to claim, there is going to be a significant adjustment period. Assuming that you can even work, you’ll need to train for a new career. In the meanwhile, you’ll still need to pay your bills. You can get social security benefits instead, but those are often minimal. Long-term policies may pay out monthly or may pay out a single lump sum. The monthly benefits are generally not taxed, but a single lump sum may be. Do check this out before you decide which works best for you. With these policies, the actual monthly payout will be calculated as a percentage of what you earn per month. Short-term policies usually are the type that you get under a group scheme through your employer. Buying it privately will also cost around 3 percent of your annual salary. This makes it prohibitively expensive to buy outside of a group scheme. In fact, private policies are pretty expensive considering that you’re paying the same as you would for a long-term one, with a lot less coverage. These schemes typically pay out up to 80 percent of your income for a maximum of one year. If you have both a long-term and short-term policy, the latter will have to run its course before you can claim on the former. This is something that is offered by the Social Security Administration. You might qualify in some instances under the age of 65. The problem with social security is that qualifying for it is difficult. You must be permanently disabled. It also doesn’t kick in all that fast. If your case does qualify, you might have to wait as long as two years before you see a dime. Also, the payout is not very high and not likely to be enough to sustain you. If the cost of a long-term disability policy is putting you off, consider a group policy through your employer. That way you’ll be covered until you can claim social security benefits. To get these, you’ll need to go through to the state department in charge of them. Think of life today. You could have a devastating heart attack tomorrow that renders you incapable of working. Even if you’re a pencil pusher, there is always a risk that you could become permanently disabled because of a medical condition. Add into that how easily accidents can happen, and it becomes a no-brainer. Disability insurance is something that you hope you’ll never have to claim on, but you’ll be glad to have if something happens to you. If something bad happens and you can’t work, you’ll still need money to buy food, pay your bills, and keep a roof over your head. In addition, you may also have medical needs that have to be accounted for. It’s not something that you can afford to take a chance on. Any insurance policy that has multiple options means you will want to get quotes from multiple carriers. The most important thing is to make sure you are getting the exact coverage you need. For example, if you have an emergency fund that can handle all your expenses for the first six months, you don’t need short-term coverage and can go with a long term disability only policy. If you don’t have those kinds of funds on hand today, you will want to get a policy with a shorter waiting period. Finally make sure you are getting quotes that display identical or very close to identical coverage. You want to be comparing apples to apples not policies that have different rates due to more or less coverage. There are a bunch of top insurance companies that offer disability policies. Assurity – One of the Most popular companies, Assurity is a top choice for anyone with an emphasis on the self-employed. Guardian Life – Started in 1860, Guardian Life offers four different policies to meet your needs. Illinois Mutual – Not as well known, Illinois Mutual has top ratings and is a major competitor in disability insurance. If your family depends on your income to make ends meet and could not handle you not being able to continue in an occupation, then you need a disability insurance policy. Depending on your occupation the rates can be very reasonable, but the only way to know is to get your own set of disability insurance quotes today.